The post delivered a DX loco body kit that'll go on a kato SD40-2 chassis that I have for my New Zealand transalpine train. Will take a while to get it looking close. 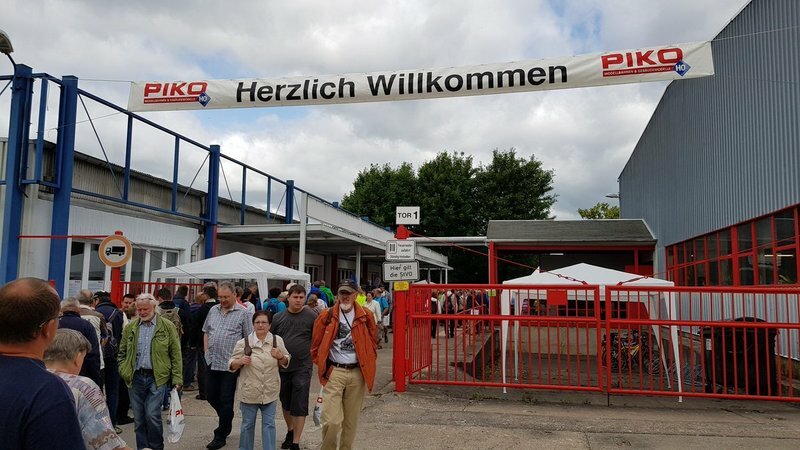 I went to Piko's factory open day in Sonneberg yesterday. 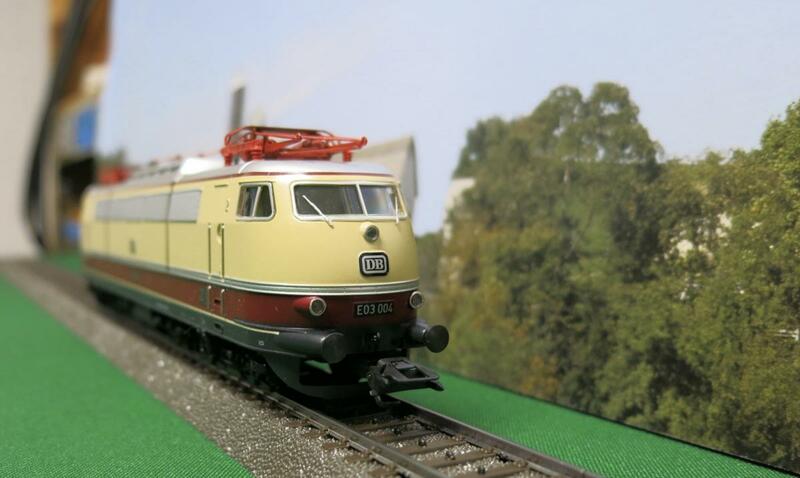 And I picked up my first Dutch train at the factory sale. Pretty cool model. Comes with interior lights and power couplers. Cool! I also really like the Hondekop EMUs, although I was too young when they were still running to actually remember them in service. I have fond memories of the Hondekop-lookalikes Mat '64 though, which were retired last year by the way. Did you pay wholesale prices? It's always neat seeing how things are made. And cool looking model! Nice I like the Dutch stuff xD. 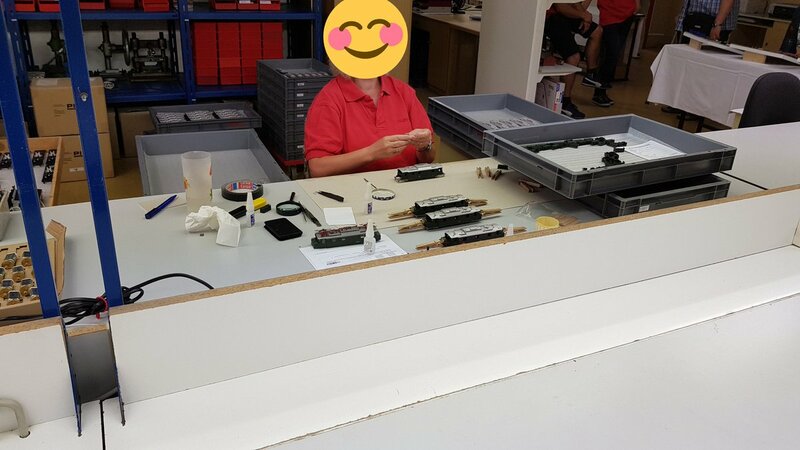 Wasn't aware Piko still manufactured in Germany, great to see. Did you pay wholesale prices? They had a big sale of old and B-stock. This one is the former and I got it for about 50% of the MSRP. 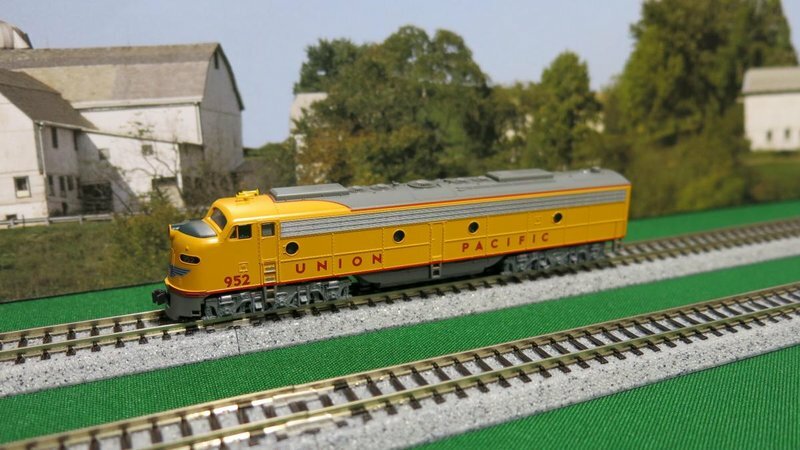 Got me some Kato E8/9 Southern Pacific Daylight and Union Pacific along with the Union Pacific Excursion Set. 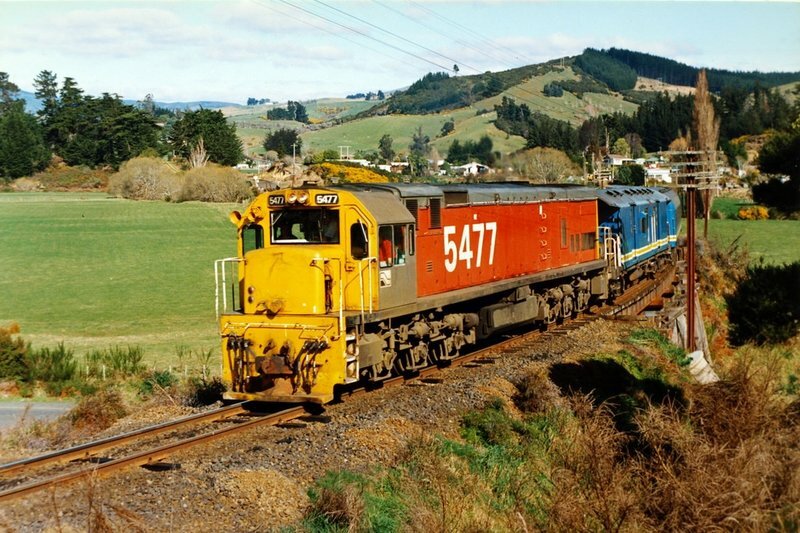 I love these colorful trains. If I were a rather crafty Japanese company, I'd come up with an appropriate replacement part for Graham Farish gears that, oh I dunno, don't split gears. That issue is just beyond a joke and I'm thoroughly amazed GF are still in business. It was on sale at a price that would be rude to ignore, plus a couple of random coaches which will go towards more prototypical rakes. 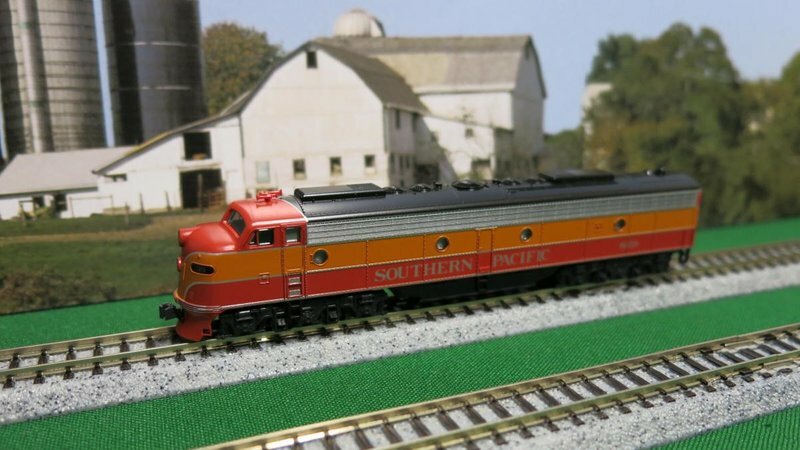 NWSL (a competent - if not crafty, American company) has made replacement gears for Bachmann's equally well-known failures for many years, so you might approach them. Seemed to be a problem with the type of plastic used for gears causing the splitting. I blame them using our milk bottles for recycled plastic material! I was just thinking that NWSL might already produce an appropriate replacement for the GF. The easiest way to find out is for someone to mail them a broken one. They're known for high quality customer service. From the estate of a family friend I got two Fröwis HO gauge brass models. 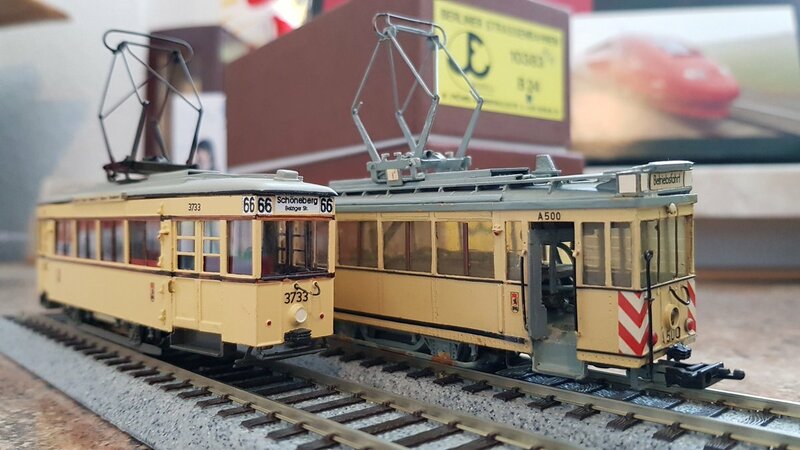 A BVG (West-Berlin) type T33U and a type T24/49 shunting tram. The shunting tram has seen better days, but I might give it to Mr. Fröwis for restoration. Currently in the process of moving to Japan in a weeks time. 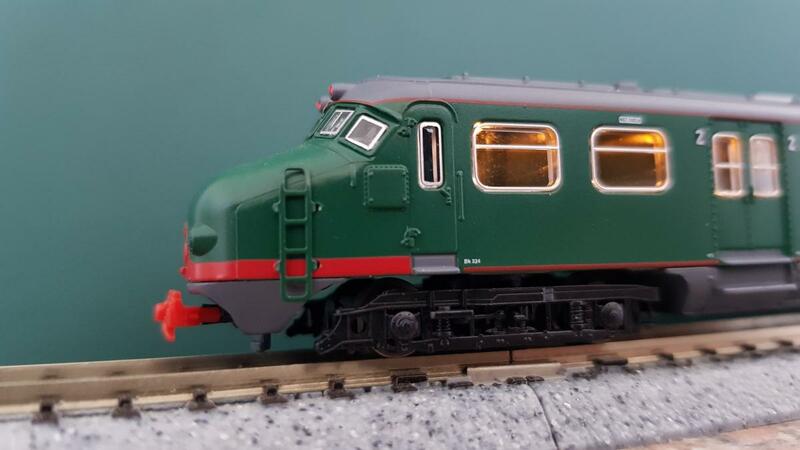 I have had to reign in my purchases for a while but once I'm there, I'll need to make up for lost time and will take full advantage of the incredibly reasonable prices compared with British rolling stock. I had to order a few things before I left Blighty behind, though. 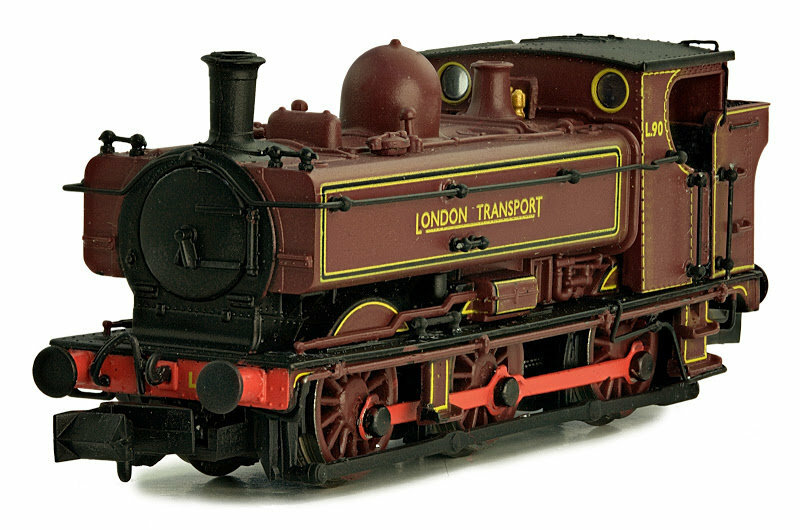 Dapol 57xx Pannier Tank in London Transport Livery. 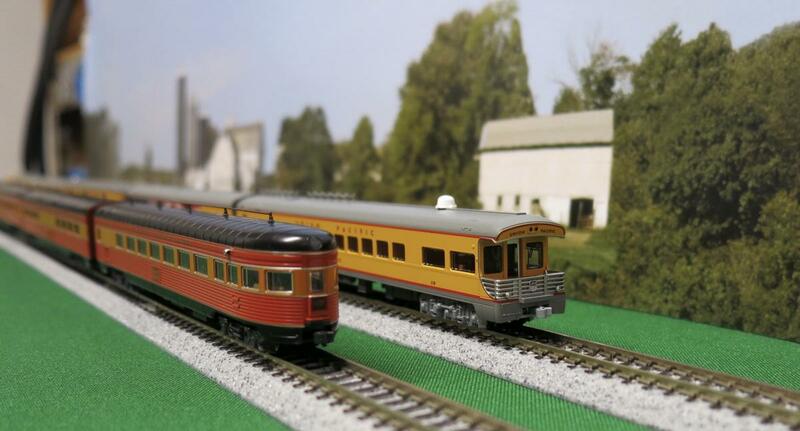 My Grandfather had a Hornby set for us grand kids when we were younger. This had a London Transport pannier with a mixed rake of goods wagons. This is a little nod to him and well impressed that this is 6 pin decoder DCC ready should I make the leap. I think the original loco is still running on my fathers layout now in BR black. 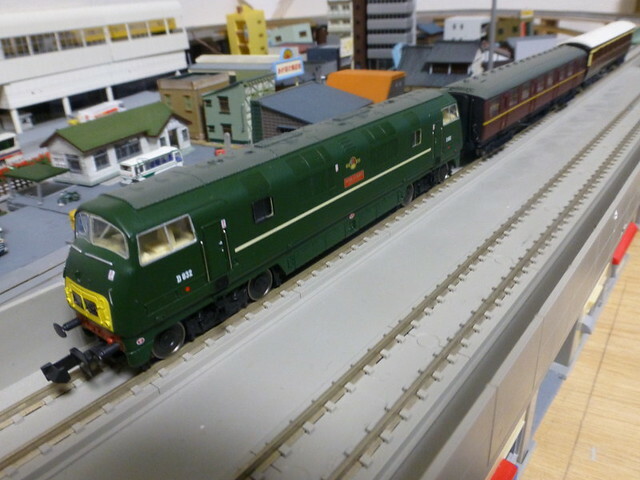 Dapol A1x "Thames" Stroudly Improved Green, which is actually ochre. This is my second Terrier purchase. 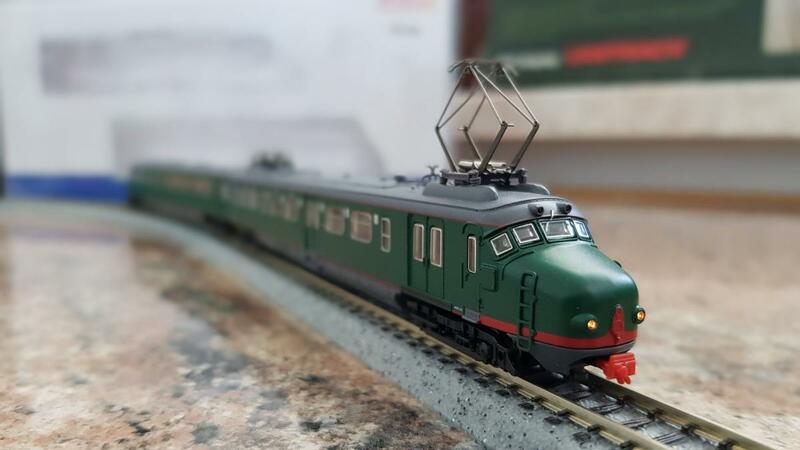 They don't run as smoothly as the Kato steamies but its just such a stunning model. I first wanted this colour scheme but found the Southern Olive at a great price. Planning on running these together. Graham Farish Autotrailer in Maroon. This was an impulse as I just loved the model. Even the brake handle is modelled and there's a tone of accessory bits to add. 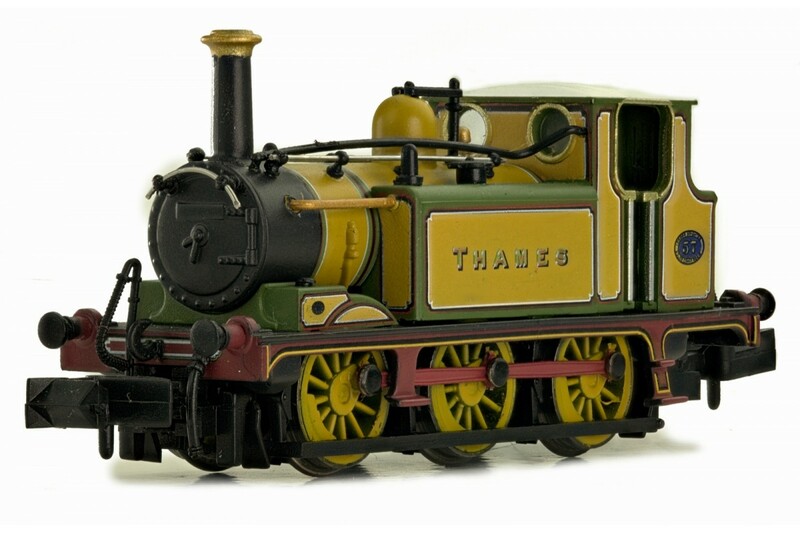 Probably run this with the Pannier imagining there's an accentric Japanese collector who shipped these over. 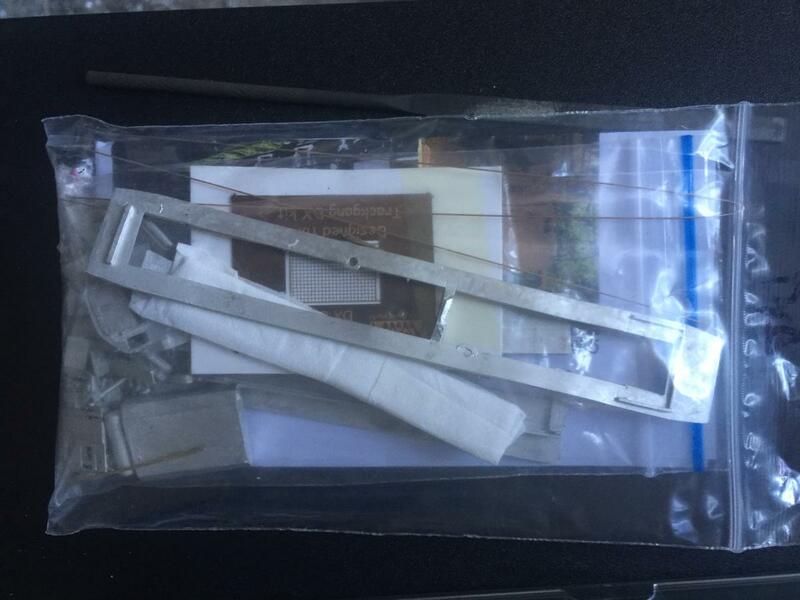 No pics, but a pair of used 4mm Newspapers branded Bachmann BGs arrived from Hattons. I have a couple Heljan Class 128s that I would like to use as the centerpiece of a small parcels terminal, and the BGs will be tail traffic. Back to Fukuoka which is where Mrs. Kamome is from. 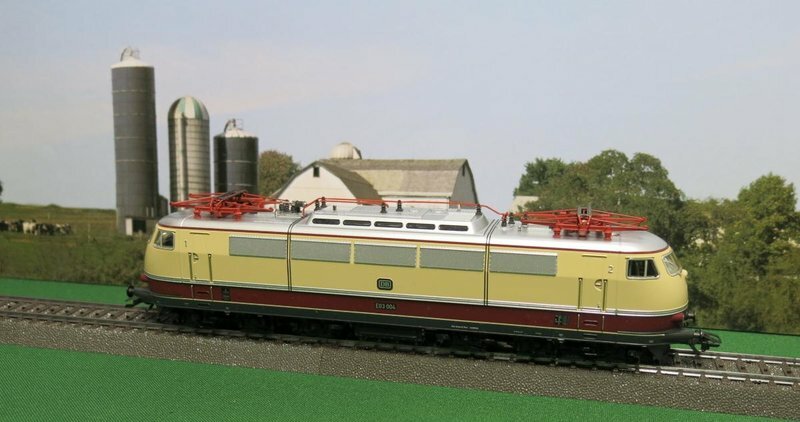 Another Bachmann N scale Peter Witt. 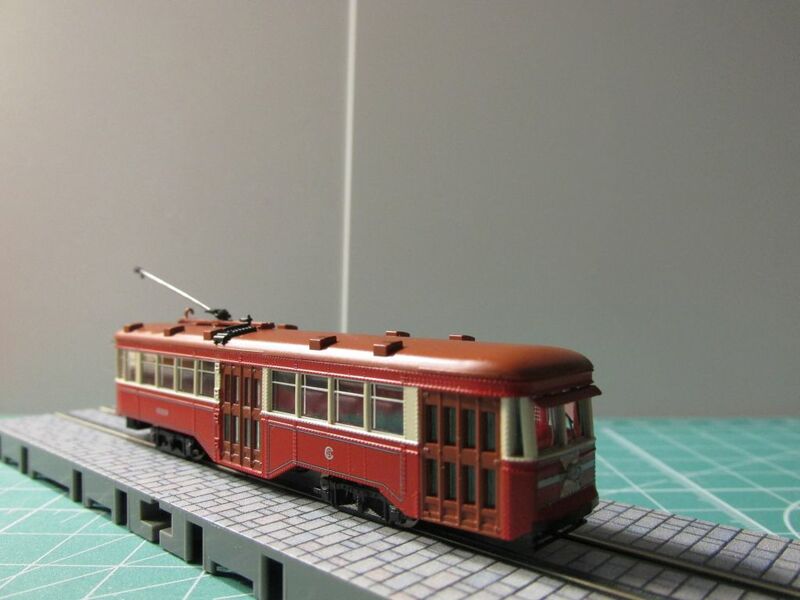 This time its Chicago Surface Lines 6319. 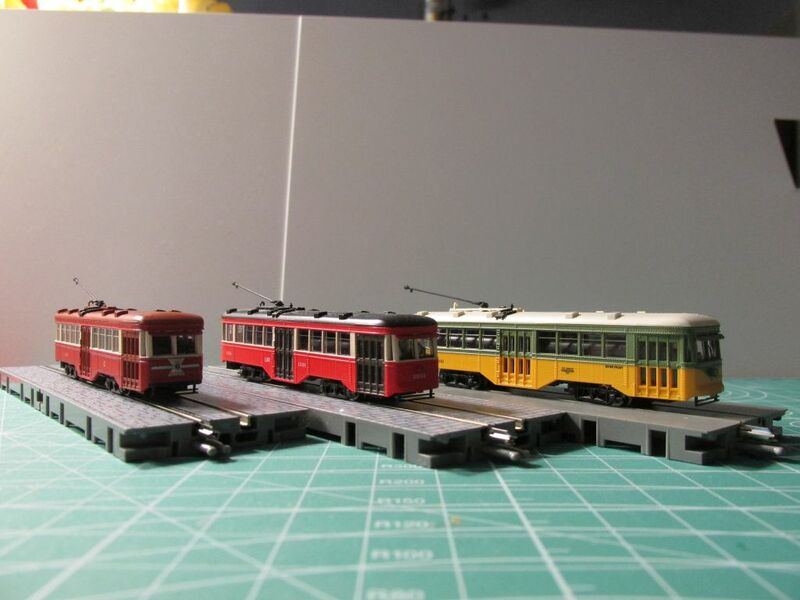 Now I have three of these streetcars to run on my bulletin board layout. I scored some brand new Marklin trains on Ebay from 2001/2002. 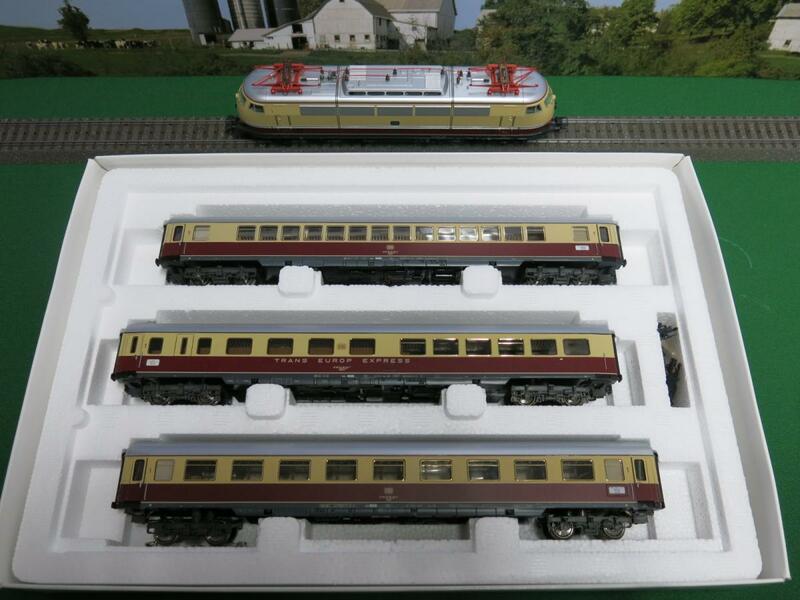 Marklin 39573 E 03, Marklin 42990 and 42991. 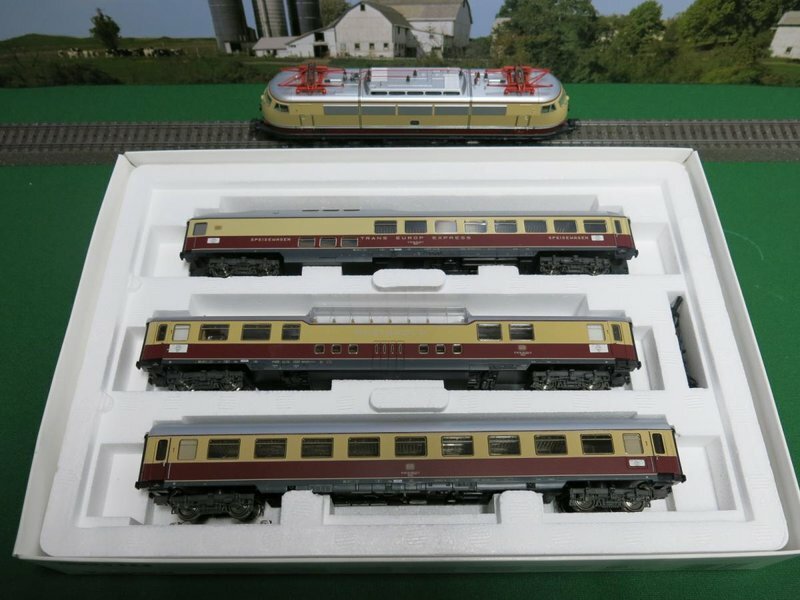 Congratulations to purchasing a model of Germany's most iconic and most beautiful electric loco.